Just minutes from historic downtown Toccoa in Pine Valley subdivision sits this immaculate home with many recent upgrades. Loaded with Rhododendron, Hydrangea, Azalea, Mountain Laurel and much more, this yard is truly beautiful! The home is situated on two lots for plenty of space and privacy and is a gardener's delight. 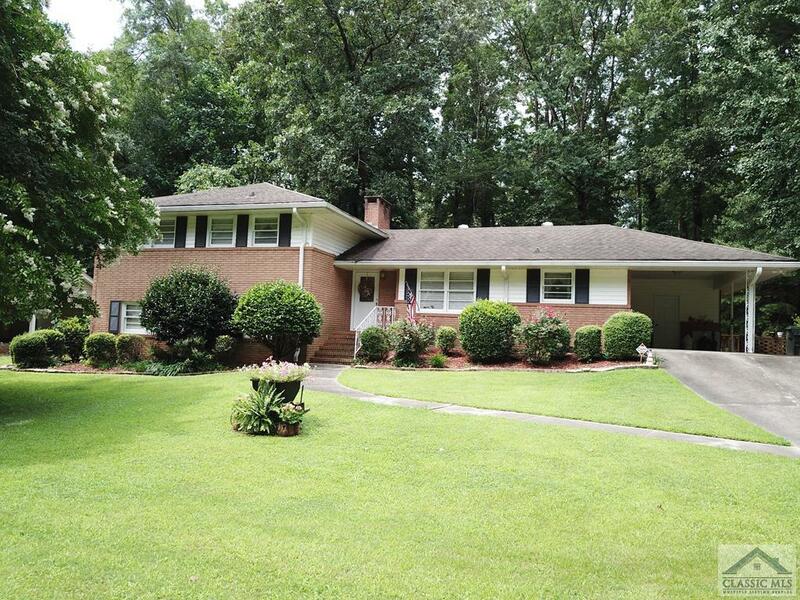 The main floor has hardwoods throughout kitchen, breakfast room, huge living room, dining room and foyer. The over-sized screened in porch with a vaulted ceiling off of the dining room will soon become your favorite spot! Upstairs the home features 2 bedrooms with a large full bathroom in hallway, a spacious Owner's Suite with a private bath and a large tiled shower. Downstairs there is a bedroom, full bath, laundry room and family room with great built ins and new luxury vinyl flooring making a super functional floorplan with endless possibles. There are loads of closets and multiple storage areas throughout too! Behind the house is a storage building perfect for a lawn mower, tools, or toys. Brand new HVAC installed this year! Lots more to see and tell so plan a visit today! Listing agent is related to seller of this home. Metes & Bounds is a subdivision within the city of Toccoa, Georgia. There are currently 0 Homes for Sale within Metes & Bounds, with asking prices ranging from $0 to $0. The average list price per square foot of the available inventory in Metes & Bounds is $0, which is the Toccoa average of $125. Recent comparable homes have been selling for 100.00% of their asking price. Waterfront homes represent of the available Metes & Bounds inventory. The population of Toccoa, according to the 2010 Census, is 8,491. The total number of households in the zip code of Metes & Bounds is 8,725, with an average household size for of 2.49 people. The total number of renter households within the zip code of 30577 is 2,715, which means that 68.88% of households in this zipcode are owner occupant households. 366 Rosedale Street, Toccoa GA 30577 is a Home, with 4 bedrooms which is recently sold, it has 2,666 sqft, .51-1 sized lot, and Attached,Carport parking. A comparable Other, has bedrooms and 0 baths, it was built in and is located at and for sale by its owner at $ 0. This home is located in the city of , in zip code , this County Other, it is in the Subdivision, and Governors Walk are nearby neighborhoods.